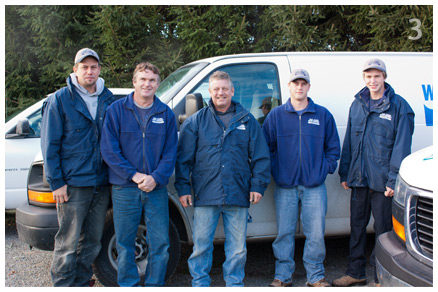 Our Team - 1000 Islands Water Treatment & Plumbing Inc. : 1000 Islands Water Treatment & Plumbing Inc. When you contact 1000 Islands Water Treatment you will encounter a team of professionals who bring with them decades of experience in the plumbing & water treatment industry. Not only are they licensed plumbers and apprentices, but they are certified by the Ministry of the Environment to inspect & upgrade rural well systems. Every customer’s individual needs are important to us and our team is qualified to deliver a tailored and unique service experience. We take pride in our strong work ethic and it is evident by the number of referred customers we see every week. We give our best and it’s done right the first time. Satisfaction Guaranteed.